The United States has announced the deployment to the Persian Gulf region of warships and air defense systems capable of engaging short and medium range ballistic missiles. 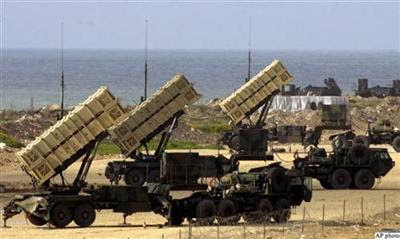 Defense Department officials have publicly acknowledged the presence of eight U.S. Army Patriot air defense batteries in Kuwait, Bahrain, Qatar and the United Arab Emirates. At the same time, additional U.S. Navy ships equipped with the Aegis Combat System are augmenting existing naval and air units in the Gulf. These deployments represent a significant increase in the air defense capabilities of the four host countries, as well as that of American forces in the area. In addition, the United States announced a series of multibillion-dollar arms deals with the Gulf Arab states. The UAE is not only buying the Patriot system, but also the new Terminal High-Altitude Area Defense (THAAD). Others may follow suit, especially if there is no resolution of the Iranian nuclear issue. The purchases of these American systems by multiple countries in the Gulf, combined with American deployments of identical or compatible systems, creates a formidable defensive umbrella in the region. Secretary of State Hillary Clinton has often referred to this "umbrella" over our Gulf allies as it became obvious that the Obama Administration's efforts to "engage" have been an abject failure. A main concern in the region is Iran's growing inventory of ballistic missiles capable of striking anywhere in the Middle East, including Israel. Iran has had this capability for some time, and Israel has repeatedly warned that it considers a nuclear-armed Iran an "existential" threat to the Jewish state. Iran has also threatened to attack American allies and interests in the region should it be attacked by either Israeli or American military forces. If I were an Iranian intelligence officer - I've known some, they're pretty good - I would be concerned about what I was seeing. Part of the intelligence analysis business is a discipline called "indications and warning." There is a list of "indicators" - a template of events that are part of a larger event or significant change in the situation. Once enough indicators are present, a warning is issued. Increased U.S. Navy deployments to the Persian Gulf are certainly an indicator for the Iranian intelligence services. Deployments of Aegis-equipped warships is likely an even stronger indicator of a change in the situation. Add to that the deployment of eight U.S. Army Patriot batteries to the Arab countries across the Gulf to augment those countries' already capable air and missile defenses, and alarm bells might start ringing. Then the announcements of multibillion dollar arms sales of even more and in at least one case better systems - something has changed to warrant this increase in capability. The intelligence analysts in Tehran have to determine the significance of the deployments and arms sales, as well as their timing. The United States will claim, of course, that the moves are merely defensive in nature, increasing the pressure on Iran while at the same time demonstrating support for the Gulf Arabs. If you are an Iranian intelligence officer, you cannot ignore the possibility that these moves are the preliminary steps that lead to military action against Iran. The Israelis would not mount an attack on Iran without notifying the United States, despite the cool relationship between President Obama and Prime Minister Benyamin Netanyahu. These moves may be in anticipation of an Iranian reaction to that attack. Something has changed the calculus in Washington. Do we know of an impending Israeli operation? Have the Israelis determined that Iran is too close to developing a nuclear weapon and plan to act? Have the Gulf Arabs expressed concern that Israel might attack and place them at risk of Iranian retaliation? I know the questions, but not the answers. If I were an Iranian intelligence officer, I would already have issued a warning. Something is up.